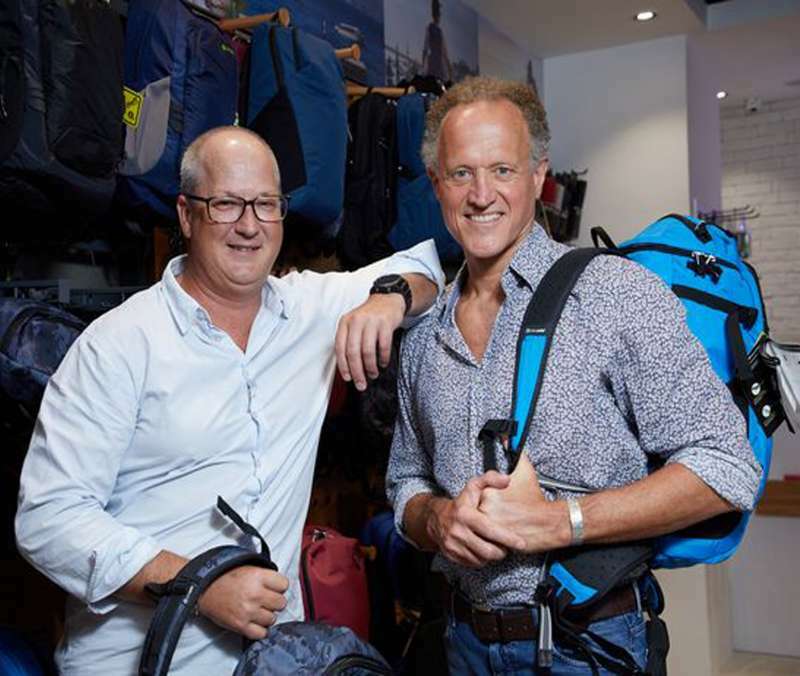 "Our preferred partner for brand retail merchandising." 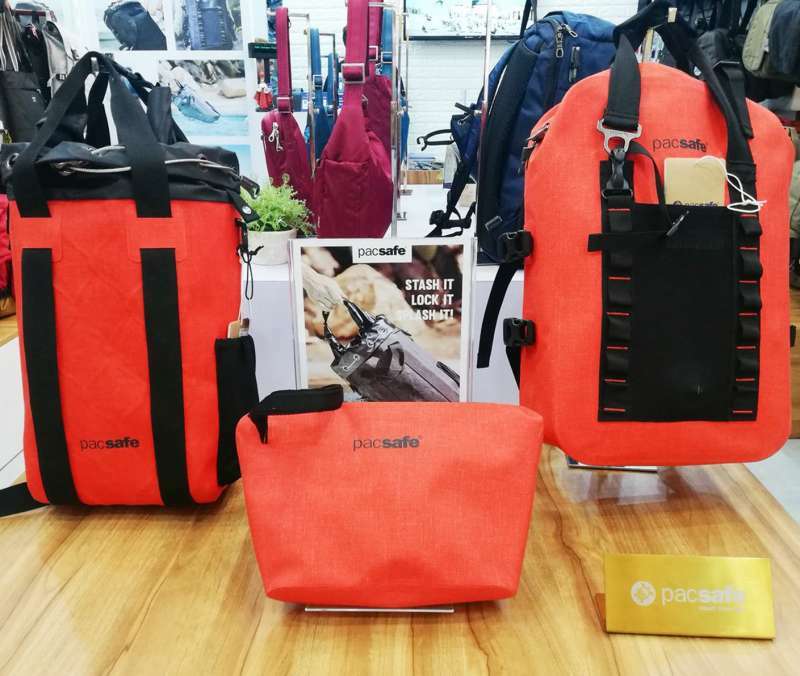 Pacsafe was established in 1998 by Rob Schlipper and Magnus McGlashan after they had sailed most of the world’s oceans and clocked up visits to more than 80 countries around the world. 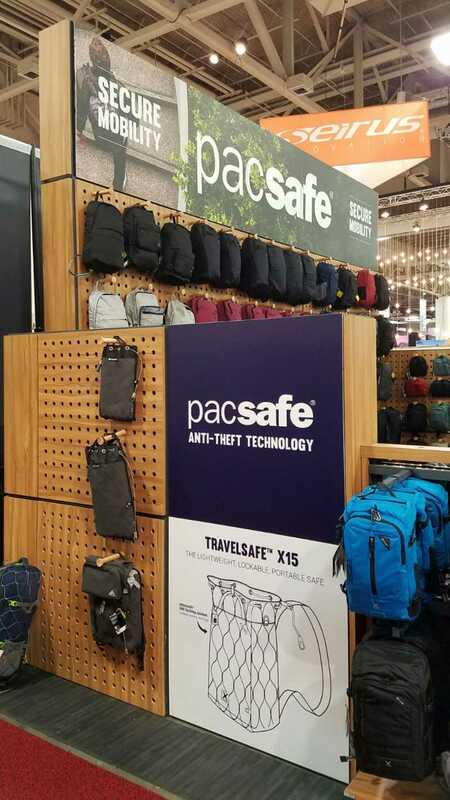 Since 2015 Gate 8 is responsible for the look and feel of the Pacsafe brand on retail level, trade shows and events. 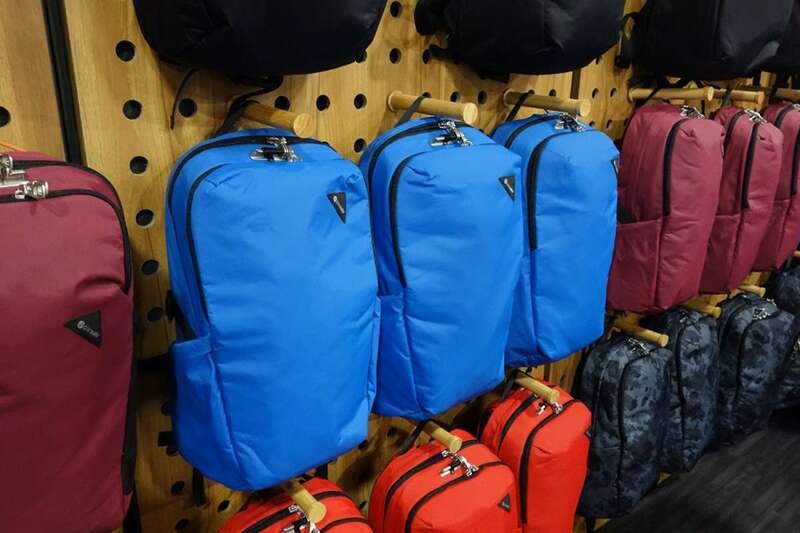 The collaboration started with the design development of a merchandising program for global retail distribution. Our goals were to amplify key brand messages, establish clear category leadership, and provide multiple solutions that delivers a cohesive brand experience. 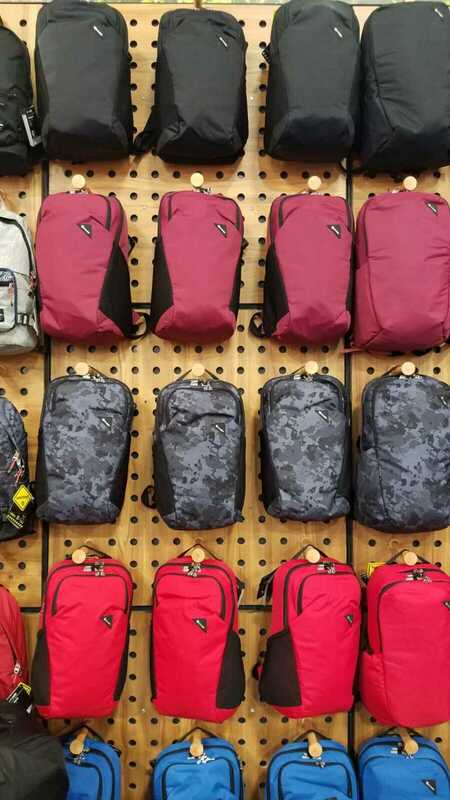 The target was to triple sales by end of 2018 and in fact, they'd gone up 70% by the end of 2016 already. 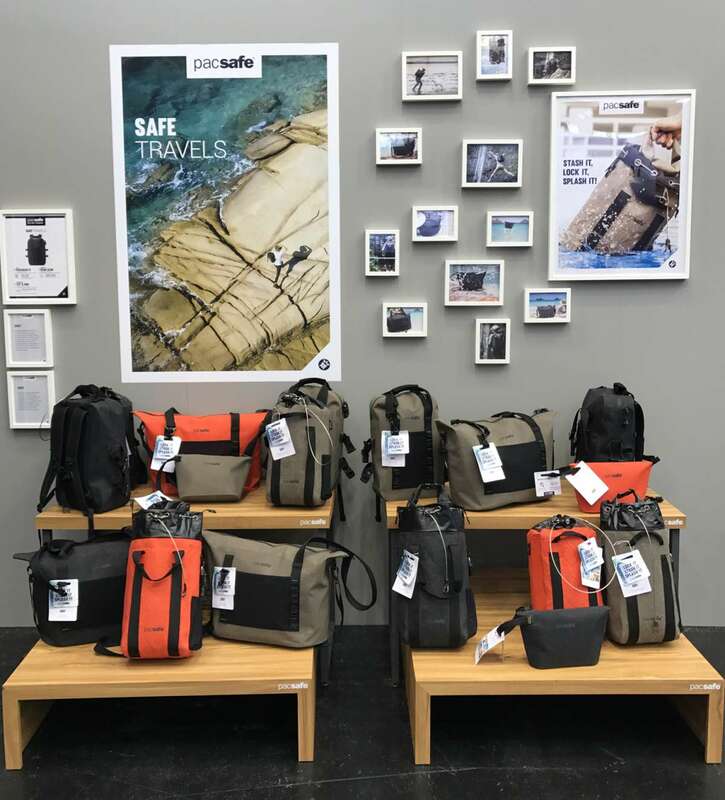 In the past 3 years we completed numerous pop-up stores, sales kiosks and shop-in-shop solutions, a trade show booth touring the world and the brands first ever flagship store located in Hong Kong. In Spring 2016 we were asked to develop a modular trade-show booth system that can be expanded, updated, and stored flat when in not in use. 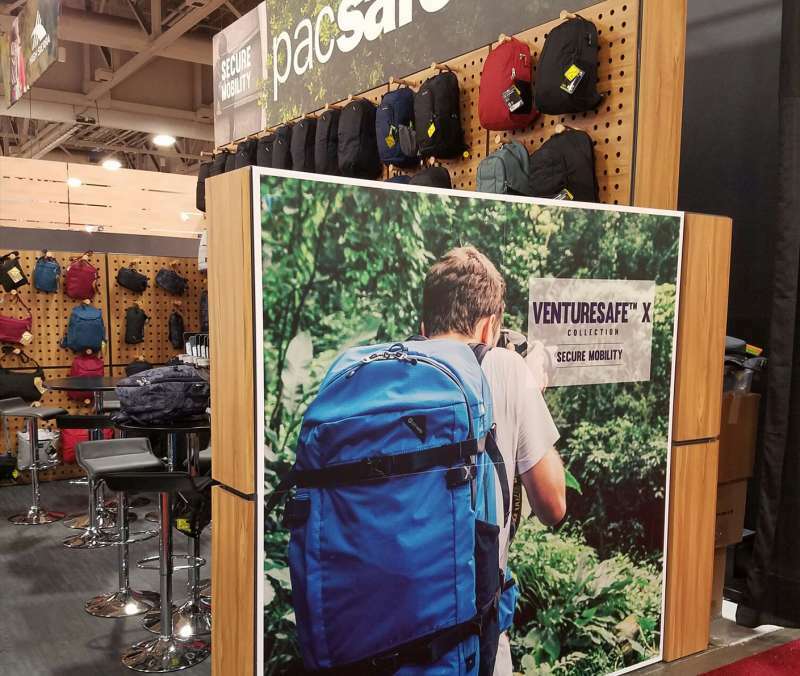 One year later we are counting 8 successful trade-shows that were using our system at fairs in the United States. The system consists of a modular metal frame structure that can be expanded in all directions providing maximum flexibility to cater for any space offered. The assembled frame structure then get equipped with tailor-made cladding panels like peg boards, slat walls, LED graphic panels or solid material for decoration purpose. This allows the booth to be always up to date for every show without changing the entire structure. "The biggest fashion industry booth building company came to our stand and said ours was best in show! Well done Gate 8." 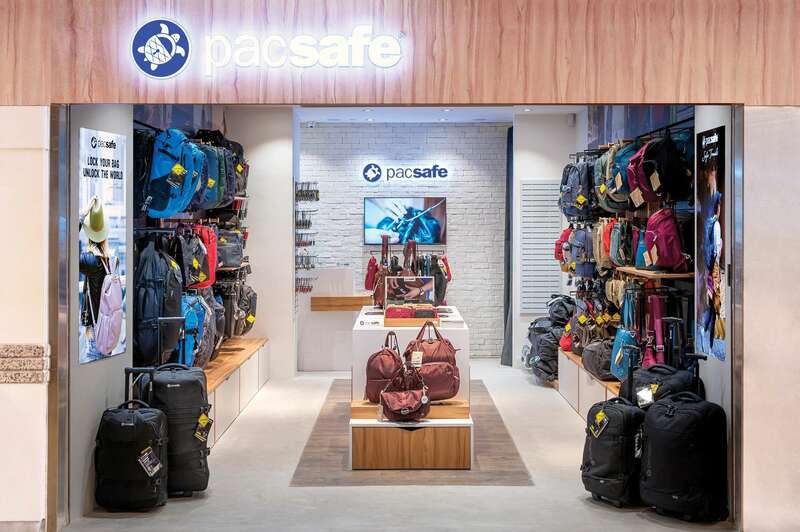 Pacsafe Shop in Shop is creating a branded retail space within another store using elements from our Pacsafe merchandising display program as well as furniture following the principles of the retail guide lines we have developed for all Pacsafe stores in collaboration with their in-house Marketing Team. Wall systems, free standing floor units (FSDU), podiums, nested tables, table tops and various retail marketing stands for brand communication put together a welcoming design and shape a unique shopping experience that will leave a lasting impression on the customer.